Users are members of your organization who work together in the same or different team, in getting Inspections or Work Orders done. 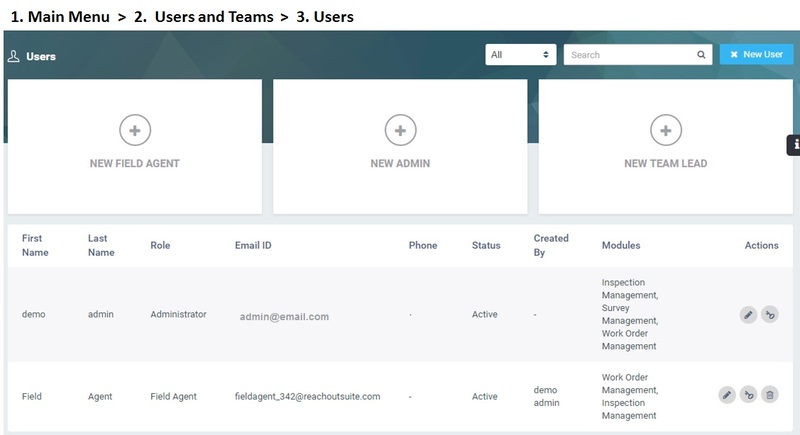 Users include Administrators, Supervisors and Field Agents. As an admin, you can manage things on the web, while field agents head outdoors and execute inspections and work orders. Team Leaders are essentially Field Agents who oversee a group of one or more Field Agents. Learn how to add a new user. If you still need more help, contact us at support@reachoutsuite.com.